Robert Gibbs (i) and Giv. Doug Burgum at the Main Street ND Summit. 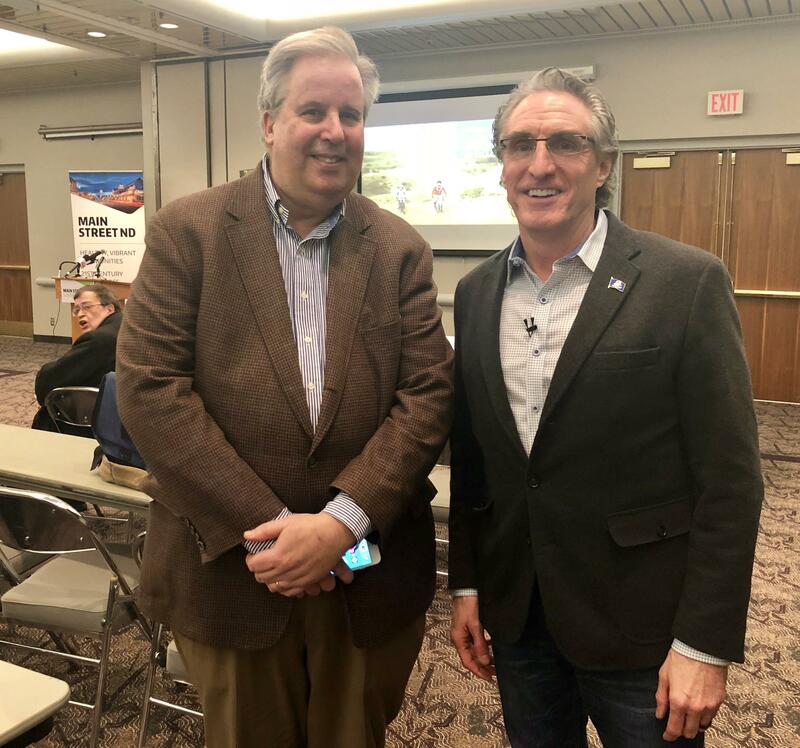 One of the keynote speakers at the Main Street Summit – being held in Bismarck – said more and more retailers are abandoning shopping malls – and looking to relocate into downtowns. Robert Gibbs is with the Gibbs Planning Group. He said malls across the country are either closing or trying to adapt to changing shopping patterns. Gibbs said in 10 years, the prediction is 25 to 30 percent of the nation's shopping malls will close. Gibbs said as retail moves back to downtowns, cities do have some problems to overcome. One is parking. "Shoppers today want to see the front of the store from their car," Gibbs told reporters. "They don't want to have to park around the block or go around the block 3 or 4 times. They're just too busy." Gibbs said malls take much more of a time commitment. Gibbs also said North Dakota has a unique challenge when it comes to downtown parking – it’s the only state that has outlawed parking meters. "Parking meters are unpopular," Gibbs said. "Nobody likes them, except for shoppers who are really busy, and want to park directly in front of the store." Gibbs said if North Dakota cities had parking meters, they should combine them with free surface parking lots nearby. "You would see a significant spike in retail sales," Gibbs said. And Gibbs said retailers are looking for historical downtowns, meaning cities should refrain from tearing those older buildings down. "We're seeing higher property values, higher rents and higher sales with historic buildings than we are if you tear the buildings down and build new," Gibbs said. "It should be 2 or 3 stories tall, with large amounts of clear glass on the first level," Gibbs said. "And it should be built to the sidewalk, to have that urban presence." One of the keynote speakers at the Main Street Summit – being held in Bismarck – thinks cities need to rethink whether they want to keep chasing big projects, like big box stores. 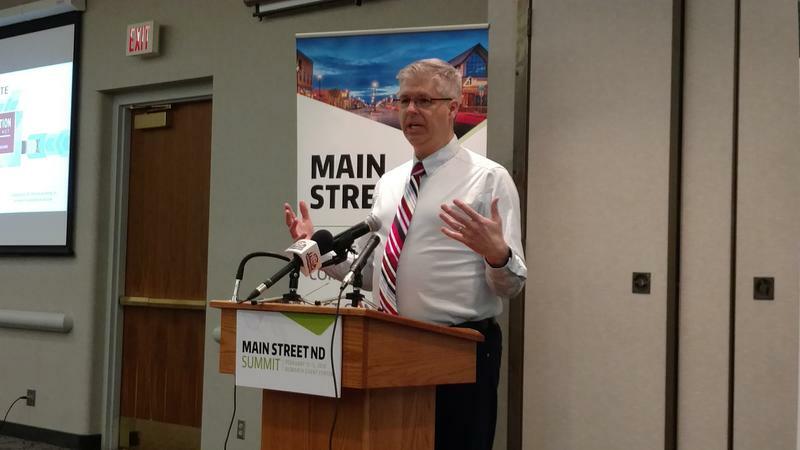 "Our public investments have tended to be very large," Marohn said. "They're designed to be a catalyst for other things. We build it, and then they come."